James Reimer has been chosen as the Toronto Maple Leafs‘ nominee for the 2016 Bill Masterton Trophy. 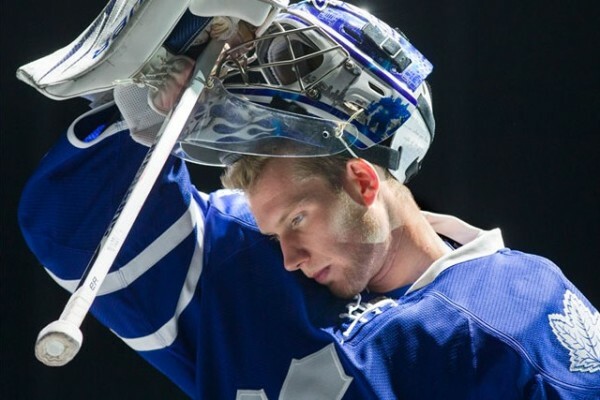 Reimer was traded to the San Jose Sharks on Feb. 27, but that didn’t stop him from being worthy of the nomination. The Bill Masterton Trophy is awarded annually to the player who best exemplifies the qualities of perseverance, sportsmanship and dedication to hockey. This is the second time the Toronto chapter of the Professional Hockey Writers Association has nominated the 28-year-old Reimer for the award. His days with the Leafs started earlier than expected when Jean-Sebastien Giguere went down with an injury during the 2010-11 season. 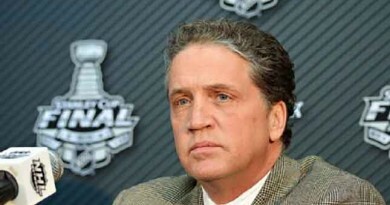 He went on to take control of starting job from Jonas Gustavsson and almost led the team to the playoffs that year. The Arborg, Man. native was a large factor in getting Toronto their first playoff appearance in nine years in the lockout-shortened 2013 season (earning his first Masterton nomination), and was a popular figure with fans and media throughout his time with the Leafs, even as management brought in Jonathan Bernier to be the team’s top netminder. The last time a Leaf nominee won the Bill Masterton Trophy was after the 2007-08 season when Jason Blake took it home after playing all 82 games that year despite having been diagnosed with chronic myelogenous leukemia.